Delving deep into the viscosity of life, Jon Jenkins masterfully engages the metaphor of water to ponder the fabric of existence with his powerful second release. 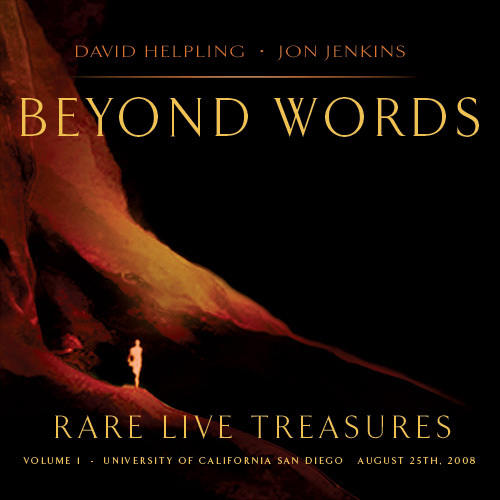 Delicately crafted and sculpted soundscapes of sublime keyboard textures combine with the ambient electric guitars of Jeff Pearce, David Helpling, and Howard Givens, which along with occasional percussion create moments of subtlety and power. This is a profound listening experience that is both dramatic and introspective, and ultimately inescapable. Jon Jenkins has crafted an album deep along the Steve Roach-Brian Eno ambient axis, but Jenkins also has a melodic sensibility that lifts this music out of the drone zone. Floating somewhere between the quiet lyricism of Harold Budd and the expansive spacescapes of Steve Roach's Structures from Silence, Jenkins' melodies hover just at the edges, drawing you closer, asking you to listen more deeply. Working with a self-limited, yet lush palette, Jenkins creates melodies that float on the wind, and atmospheres that hang like Spanish moss. A welcome breath of lyricism into the often-featureless ambient zone, Flow remains the most underrated album from the Spotted Peccary label. 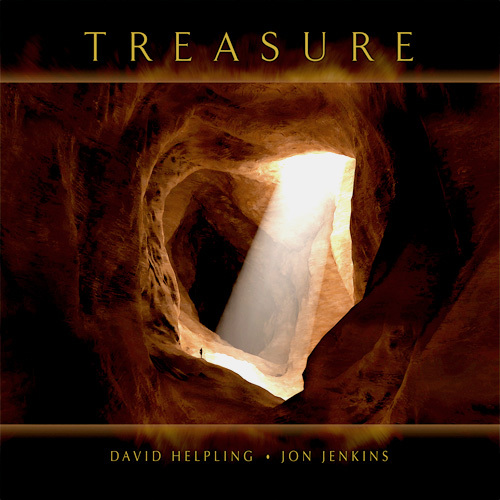 Jenkins does superior work on ambient keys, composing and performing these 11 trance/world pieces. As Roach, Rich, Reaves, Stearns, Obmana, or Greinke would deliver, so Jenkins offers us a classic. Moody, spaced, subdued tribal, introspective, relaxing, flowing, dream-imaged music abides within ‘Flow’. Peter Buffet and Tim Story stylings in the piano portions are pleasantly evident. That Michael Shrieve-styled percussion effect appears here and there. Best comparisons on this CD would be Roach's ‘Dreamtime Return’ crossed with Buffet's ‘The Waiting’. There resides a yearning and inner resolve in each track, coupled with understanding and depth of soul. Jenkins' work inspires and heals. David Helpling, Jeff Pearce, and Howard Givens contribute ambient electric guitars on assorted tracks. ‘Flow’ weighs in at a solid 10 on my scale of 1 to 10. Like an abrupt change in direction on a midnight voyage or a sudden shift in the evening wind, this new release from Jon Jenkins marks a drastic departure from his Spotted Peccary debut recording (with Paul Lackey), ‘Continuum.’ At the same time, ‘Flow’ continues to chart the new ambient territory that the formerly neo-electronic progressive label is presently headed for. ‘Flow’ is an ambitious and deeply textured release that is exceedingly well produced, so varied as to be indescribable, and full of nuance and subtlety in every song. While I at first missed the thunder and drama of ‘Continuum,’ ‘Flow’ revealed many delights to me, as it doubtless will to lovers of ambient music, both light and dark. The opening track, ‘From the Spring,’ has a dark swirling nature to it, leading to the even darker beginning of the next song ‘Into A World Of Wonder’ with somber slow-tempo drumming counterpointed by Eno-esque piano shadings. While not dark in a Hypnos-label fashion, this is still late-night listening to my ears - stark, haunting, even disturbing although not in the least bit dissonant or unharmonic. The blending of synths, piano, and percussion form a quasi-minimalism that I would never expect from Spotted Peccary - or certainly never from Jon Jenkins. Shows that one must never bring preconceptions to the party, yes? On the title track, some trademark Jenkins' flourishes emerge, namely his patented lush synth string choruses that made ‘Continuum’ postitvely leap out of my stereo. Here, in the service of something less in-your-face, they add a fullness to the ambient music, draping the song in a sense of beauty. Soon, the song traverses into a quasi-space music area with twinkling synths and shimmering chords floating in a deep night-blue sky. It's a stunner as it evolves, slowly rotating and showing the listener a variety of faces. ‘Night Drifting Through Black Canyon’ might bring to mind Steve Roach (as will ‘Breathing In The Deep’) to some or Patrick O'Hearn to others. It's delicious, whatever the comparison. Lush lower register synths are counterpointed by ambient electric guitar courtesy of wunderkind Jeff Pearce. Obviously, with the album being as long as it is (74 minutes! ), I don't have the time or space to detail much more in this review. Most of ‘Flow’ is extremely ambient (not all of it, though - check out parts of ‘Blood and Water’ with its powerful percussive effects), yet it is full of emotion (there is a sadness to parts of ‘Cross Over’ that is almost tragic). Admittedly, it took me a while to warm to this CD. However, when I donned headphones and heard what was actually happening underneath it all, I realized that Jon had fashioned another fantastic CD - albiet quite a reversal from his last one. That he was able to change course so drastically and yet deliver something as stunning as ‘Flow’ is the mark of considerable talent. The only downside to a recording like this is the obvious question - what will he do to follow this up? Jon Jenkins uses synthesizers to create an extraordinary world. This is pure ambient music where keyboard textures, electric guitars, drums and percussion are the main traits. The album contains 11 themes, some of them with a majestic, grandiose character. This is the second release by Jenkins but he is already showing a great maturity. His music is full of powerful soundscapes, ethereal melodies and hypnotic sensations. He definitely knows how to amaze the listener. David Helpling, Jeff Pearce and Howard Givens (electric guitars) contribute to the album. Come to where lush sounds evolve and, indeed, Flow. Jon Jenkins adorns almost 74-minutes with these 11 tracks, a tasteful melding of shapeless ambient drifts, Native American drums, and piano arrangements. Ambient electric guitar is seamlessly added to individual tunes by several contributors as well. A distant rumble comes...From The Spring. Synthstreams pour as subtle textures emerge from the river of sound. Half-hidden voices and instrumentation are suddenly, drastically sucked through some vortex and Into A World Of Wonder where piano overlays an ambient stew. 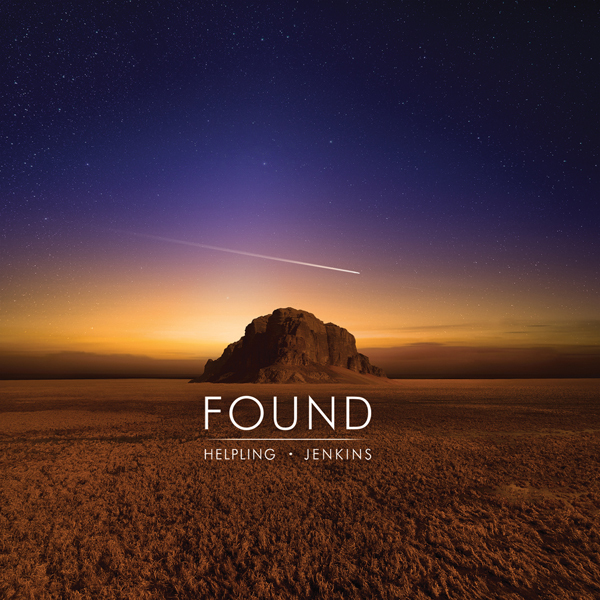 This track exemplifies the beauty with which Jenkins merges multiple styles; the piano, though somewhat disparate, doesn't seem out-of-place, riding on Jenkins' synthetic waves. The track segues into the appropriately-named Flow which wafts and wanes on currents of synth which are dappled with faint musical shadows. A magical shimmer breaks the soundstream, but it slowly, drop by drop, rebuilds, and with strings and unobtrusive beats, regains a sense of majesty. Guest Jeff Pearce contributes ambient guitar washes to Night Drifting Through Black Canyon where nightfall brings a hushed splendor via soft breezes. The piece quietly fades, and from that near silence Cross Over emerges and grows, piano notes becoming stronger and more active amidst a swirling background mist. Extra helpings of throbbing tribal percussion (initially soft, then more powerful) stir the sonic atmosphere of The Power/Washed Away; eventually the beats relent and the rays of light synth float and soar, finally vanishing in subtle degrees. Respiratory in title and nature, Breathing In The Deep rises and falls in a vast aquatic realm. Truly lulling, the main theme is accentuated with occasional glints of electronic light. A delicate melody is blurred, yet preserved, like a leaf within amber in the short (2:37) but lovely A Word With The Vine, which segues into Blood And Water. Again hazy, but enchanting, synth patterns dance within a mist, until a strong, clear rhythm dispels the murk, allowing all to shine, until it recedes again. Part Of The Solution (16:38) is a three-part construction. Quietly simmering layers swell into life. Gorgeous, billowing clouds of sound swirl and dissipate, in lighter, then darker phases. Muffled percussion fades in, eventually surging in power. Chanting cries are distantly heard as the track reaches its crescendo, then fading back into the mists. To counter the flow, there must be an Ebb; this one is peaceful, gentle, resonant in its own tranquil lightness. Drifting toward closure, becoming silent long before it's actually gone. Some of the instrumentation may lean toward a New Age sound, but the free-flowing nature reigns supreme. Flow marks my first exposure to sounds from the Spotted Peccary label, and I must say I like what I hear. I'm hoisting Both Thumbs... Jon Jenkins' and friends blend of ambient liquidity has been quite personally satisfying for me. 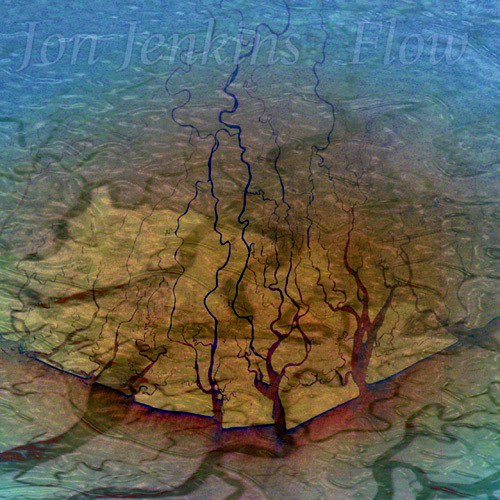 Flow’ is the second release by synthesist Jon Jenkins, which sees him use the metaphor of water to create an introspective ambient world of beauty wonder. The outcome is a beautiful blend of carefully crafted and shaped soundscapes to which the sound of Jeff Pearce's ambient electric guitars is add along the occasional percussion played on Taos drums. Don't think this is all quiet music, as the keen use of percussion and expert layering of textures occasionally create moments of intriguing tension and drama, after which the contemplative state returns. All in all, the smooth, gentle and liquid-like ambience of the excellently produced ‘Flow’ is very much in vein of the deep textural worlds investigated by Steve Roach and alike. On Flow, Jon Jenkins trades in the orchestral synthesizer bombast of his Continuum album for more austere and restrained ambiences. Floating somewhere between the quiet lyricism of Harold Budd and the expansive spacescapes of Steve Roach's Structures from Silence, Jenkins's melodies hover just at the edges, drawing you closer, asking you to listen more deeply. ‘Into a World of Wonder’ and the minimally epic ‘The Power/Washed Away’ pulse with vaguely Native American rhythms and the album's most potent melodies. 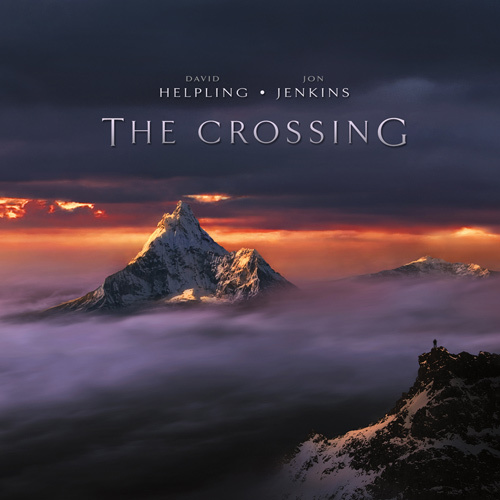 ‘Night Drifting Through a Black Canyon’ explores pure melodic ambience with Jenkins's own thready theme working through electric guitar textures from Jeff Pearce, while ‘Part of the Solution’ is a sultry, detailed excursion of morphing sound design. Jenkins works with a self-limited, yet lush palette to create melodies that float on the wind and atmospheres that hang like Spanish moss. Flow remains the most underrated album from the Spotted Peccary label.